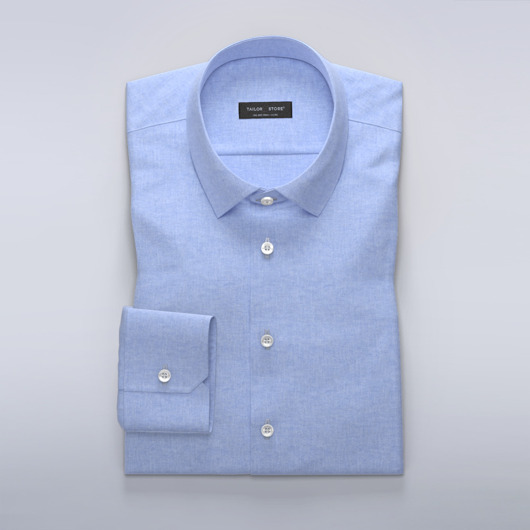 Linen shirt in a soft blue colour. Stylish business classic collar and white buttons. Goes very well to a pair of jeans or dark blue chinos. Add a dark brown belt for a nice contrast. Customize this shirt in your size.